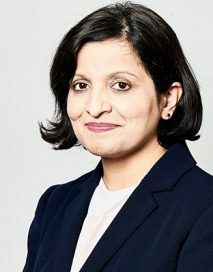 Aisha is a specialist Criminal Practitioner with over 20 years experience in the Crown Court. Aisha is a Panel 4 prosecutor and is approved to prosecute rapes and serious sexual offences. Aisha is fluent in Urdu (first language) and is able to read Arabic and is very familiar with Islamic Law and cultural practises. R v Weaver Jahmal. Junior to Mr P Makepeace QC – Defendant was charged, along with four others, with offences of murder, manslaughter and two counts of section 18. This Defendant (and one other) were acquitted of all charges after a 4 week trial. One of the co-accused was convicted of Murder and two others of manslaughter. R v Dowson and Bowmaker. Prosecuted two defendants, who were both convicted of rapes after a 6 day trial. The victim was 13 when she said she had been raped by both. She also said she had had a consensual relationship with one of the defendants.